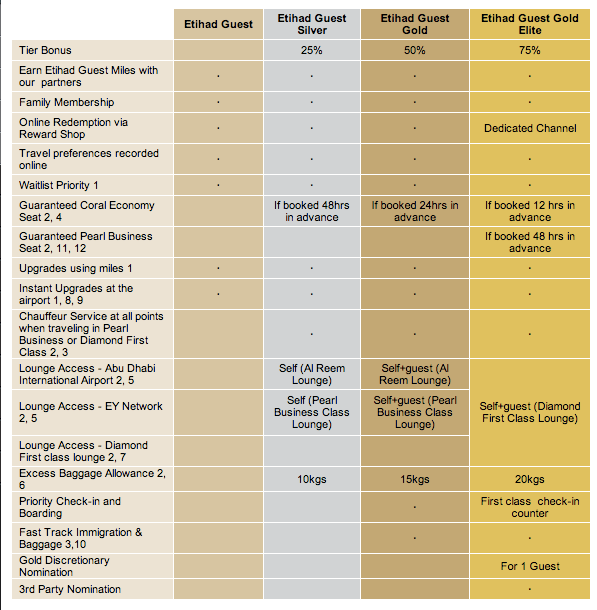 Etihad Guest is again matching elite statuses, similar to what they did last year. This ends Feb 22, so before then you’ll had to send your existing gold elite status card or higher status along with a copy of your statement to guesttiermatch@etihad.ae. Include your Etihad Guest number as well. I’d assume this may be useful for everyone who is booked on the (now gone) Etihad First Class Colombo to Dallas fare. If you are booked on that fare as well, make sure you do check out my to-do and recommendations for the fare. Generally with previous status matches they’re very selective on who gets matched and may not match everyone, but free elite status is always good, and you might as well try. Here is the link to the Etihad website detailing the match. What is the point of getting gold status if you are travelling in F? I assume most of us will only fly on EY once or twice and then it is on the deal fare from CMB. What does gold give you that F class does not? Gold also gives you chauffeur service at all points throughout your journey when in business. You already get that with first. EY Gold also gives you perks when you fly on AB, good to have if you are base in Germany, Austria or Spain. Thanks for the post…. but perhaps you should credit http://loyaltylobby.com who posted this first.